The purpose of this article is to introduce laser newbies to the concepts of wavelength as an important operating parameter in cold lasers. Each of the wavelengths used in therapy lasers interacts with tissue in a unique way. Near the end of this article we will analyze the overall therapy laser market to see some trends from the 25+ cold laser manufacturers and make some summary conclusions. Red lasers interact with melanin (near the surface) and with mitochondria (secondary peak of the Cytochrome C Oxidase curve). This energy is absorbed close to the surface making it the best option for superficial scar tissue, burns, cosmetic issues and other non-structural issues. Because some of the energy in this wavelength is transferred in the blood stream (but not hemoglobin), this wavelength can also be used to treat more complex problem where the exact treatment location might be unknown. The energy can flow through the body and interact with damaged cells in many parts of the body operating more like a vitamin that goes where it needs to go. This wavelength is also best for treating the lymph system and acupuncture points. Erchonia© operate exclusively in the RED range with a strong emphasis on the pulsing of the laser. The most important wavelength is in the range of 800 to 850nm with the peak around 810nm. This is the best wavelength to get a combination of deeper penetration and cellular interaction. Laser in this range are the optimized to interact with the mitochondria and they trigger an increase in Cytochrome C Oxidase and Adenosine Tri-Phosphate, 2 key chemicals required in the healing process. About 70% of the therapy lasers on the market operate in this range. Several studies have shown almost unbelievable results in experiments with rats in the regeneration of damaged tissue . All 905nm lasers are superpulsed. Laser diodes that operate in this range must be pulsed (turned on and off) to keep the diode from overheating. This wavelength is also very popular because superpulsing the laser eliminate the risk of eye damage. 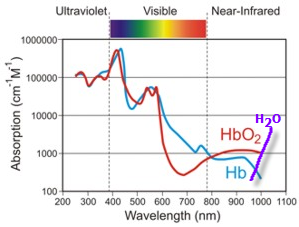 This wavelength is unique because it interacts primarily with the iron in hemoglobin. When a 905nm laser interaction with the iron in hemoglobin, it oxygenates the area. Oxygen is another key chemical in the healing process so that some conditions might get the best result with a super-pulsed laser. This is the most common wavelength for home systems because they are the safest systems. As we near 980nm, we approach the peak interaction of light with H2O in the body. Although some of the energy is also interaction in the hemoglobin and performing the same function as a 800 to 850nm laser, the bulk of the energy goes to creating thermal gradients in the H2O that increase circulation and blood flow. The increase in circulation allows the bodies natural healing process to accelerate. 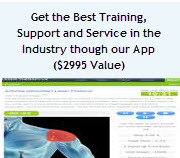 This is also the most popular wavelength for high-end pain control lasers and many doctors feel that 980nm system provide the highest level of pain control. If you would like to see the downside to 980nm, just search for "980nm surgical lasers" and will see how they market 980nm system as great for surgery because so much of the energy converts into heating water in tissue . 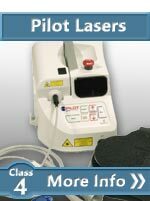 This is great for laser surgery but less than ideal for therapy. The following graph is based on research by K-Laser®. Although this is not and independent analysis, it seem to explain why all the different technologies work and how they are working in different ways. So, in some cases, therapists are targeting the circulatory system (blood flow) so they use 660nm and 905nm but if you are treating deep damaged tissue like many structural problem, you want to push the energy as deep as possible. Below is a modified graph of the energy absorption by wavelength for hemoglobin HbO2 and Hb (per the University of Essex). Variations of this graph are used across the web. I have added in the absorption of light energy by H2O in purple. This graph show a low spot in the absorption of light where light can travel the greatest distance. This low spot is called the therapeutic window. 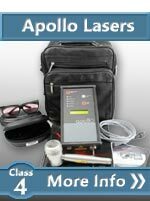 There is a lot of literature emphasizing the therapeutic window and how it is used to predict the best wavelength for therapy lasers. Recent developments show that each wavelength has advantages but 800 to 860nm could be the best wavelength if you can only choose one because it has the best combination of depth of penetration (low absorption), cellular interaction and energy transfer efficiency. The actual output wavelength is also based on the temperature of the diode. The output change for a typical IR diode is 0.3nm/oC so the wavelength when you first turn a system on (20oC) will be 3 to 10 nanometers less than it would be at the full operating diode temperature (up to 40oC). This also shows that any manufacturer that is saying their system has a superior specific wavelength is probably over-marketing. Emphasis on the higher frequency ranges (IR) and deeper penetrations are echoed by a majority of cold laser manufacturers. Although each manufacturer insists that their wavelength is optimal, there is no general consensus on the sweet spot. For some conditions the lower wavelength is best and sometimes a higher wavelength is best. So, in general, having a system that is capable of multiple wavelengths gives you the most flexibility. Another debate is the idea of using multiple wavelengths at the same time. Is it better to treat with one wavelength at a time or multiple bands at the same time? According to some manufacturers, like Multiradiance (TerraQuant), TheraLase, Lumix, Chattanooga and K-laser, the answer is multiple wavelengths create a synergy. One the other hand manufacturers, such as Thor, Avant, Apollo, Aspen, Nexus and Laserex, support one wavelength at a time. Point and Shoot- If you would not go to the trouble to try and control the dosage for each wavelength, you are probably better with a multiwavelength shot-gun approach to treatment. You might only get 1% of the dosage you want at a specific wavelength but it is better than nothing. 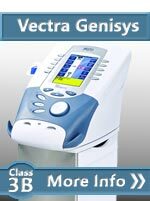 Precision - If you care about dosage and want the best results, you need to control each wavelength independently so that you get the appropriate dosage for each wavelength. In theory, it is better to treat each area with the optimum dosage (wavelength and total energy) if you have the time and training to determine the proper dosage. In the real world, combining the wavelengths simplifies the protocol, reduces the therapy complexity, reduces the treatment time and give patients at least some energy in the wavelength that might have the biggest impact. Some manufacturers are starting to integrate UV (blue) light into their lasers because of its antibacterial properties. In 9 out of 10 situations, this is a horrible idea. UVB is the primary wavelength of light that causes disease. It kills bacteria by destroying the DNA so why would you want to use it on tissue haphazardly. Yes, it might a good addition to a battlefield medical laser because in the field, there is no time for proper sanitation and maybe killing or mutating every living thing in the area will cut down on infections but this is a rare and unproven case. 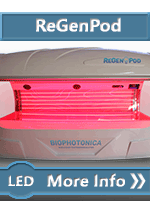 UV light is indiscriminate meaning that it kills both the bad bacteria and the good. Humans cannot survive without the good bacteria so using a UV light when it is not necessary is only hurting the our ecosystem and the patients. We already have seen that overuse of antibiotics has only helped bacteria evolve into “super bugs” that are getting unstoppable. Â In general, the wide spread use of UV light helps kill off the weak bacteria making room for strong.Â Eventually the bacteria will evolve and become stronger to the point that we don’t have any weapons to stop them. Manufacturers should stop adding UV to lasers just to make their product different. 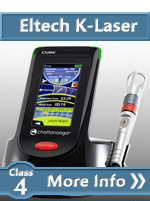 The laser market is very competitive but this is not the right direction to go. With a few exceptions, there is not a good reason to use UV light to treat the majority of conditions and the overuse of UV light could have some very negative outcomes for everyone. Recently, there are some consumer-targeted products from fringe manufacturers with other wavelengths like pink, purple, green and yellow light. At this time, there is no science behind the use of these wavelength. Fringe companies are adding them to their product for differentiation. None of the more established and successful laser manufacturers use these wavelength because there is no science to justify them. You will typically see that the companies using these new wavelength also make some ridiculous claim about their product. These wavelength might someday be proven to be useful but right now, they are mostly marketing hype and it is foolish to pay more for a product with exotic unproven technology. Most of these products also have 810nm wavelength (which does most of the work) and the added wavelengths are there to squeeze more money out of buyers. The following summary table compares the wavelengths of various cold lasers. Some of products are $30,000 devices made by huge medical companies with big R&D budgets and some are made by small companies with limited budget. I have flagged the larger corporations so we can look the "elite" group after we review some of the "outliers". Typically uses all wavelengths simultaneously but they are programmable on higher models. 2-Channel system for both broad therapy and pinpoint treatment. Consumer Product based on Soliton Wave Technology. Consumer Product based on Quantum Wave Technology. Consumer Product with Electrical Stim. Super low power. 1 The primary wavelength is the wavelength with the most power. Products that do not operate using wavelengths used the majority of the practitioner-grade products. Products designed mainly for the consumer market. 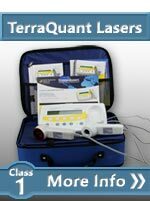 The goal of establishing outlier is not to punish these products but to establish a main stream for the overall practitioner-grade cold laser market. As we can see, class 4 lasers (7 to 60 watt) are mostly 980nm while the class 3b lasers (fraction wattage) are typically 810nm. This crossover is totally based on cost. 980nm laser diode are also used in surgical lasers. The higher volumes has pushed down the cost that 980nm high power laser module is less than half the cost of a high power 810nm. 980nm systems have dominated the high-end market because they are more profitable for the manufacturers, not because they are better. The following is some highlights about different wavelength and their uses from the “Handbook of Photomedicine” by Hamblin and Haung. 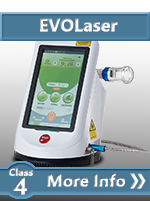 UVC: 200-290nm - Mostly absorbed by the ozone laser so there is less evidence of diseases caused by UVC. UVB: 290-320nm - Causes DNA damage. The major cellular chromophores that absorb in the UVB range are nucleic acids (DNA and RNA) and some proteins. Even though UVB can cause DNA damage, it is used to treat Psoriasis and other inflammatory skin disorders. UVA: 320-400nm - The energy from the sun in the UVA range is about 1000 times less than the volume of UVB so there is less evidence to the potential for tissue damage but we still recommend avoiding it unless you have a special requirement that makes is worth the risk of cancer. Photodynamic Therapy (PDT) uses a photosensitizer (PS) that will accumulate in tumor tissue. Then the PS is activated using light and it becomes cytotoxic and can help destroy the tumor. 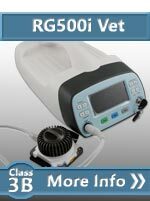 The majority of this type of therapy is done in the 600nm to 800nm range. Here is a table to show some of the wavelengths that are also used in photodynamic therapy. The following is a summary chart from the surgical section of the book. 980nm and 1470nm diode surgical lasers can be used general surgery to Otolaryngology, Proctology, Thoracic surgery, Pneumology, Gynecology, Gastroenterology, Laparoscopic surgery, Vascular surgery, Dermatology, Neurosurgery, Urology, Oral and maxillofacial surgeries. While doing research on the other uses of different wavelengths of laser, we ran across the following statements from a 980nm surgical laser manufacturer (Surgical Laser Inc). "Generally speaking, the greater the absorption, the greater the interaction, and in the case of biologic soft tissue, the 980nm high absorption diode laser targets WATER as water comprises > 70% of soft tissue. Higher water absorption means more efficient and effective ablation." 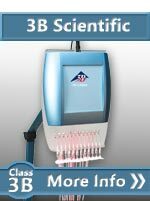 "With high absorption in both water and hemoglobin this wavelength is optimized for performance resulting in optimal tissue ablation, durable coagulation and enhanced visibility." The first high power class 4 lasers were all 980nm and so that has become one of the standards for higher power systems. 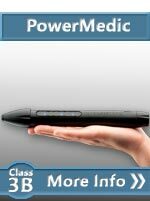 Over the years, 980nm has been very successful at high-volume pain clinics and thousands of other institutions. 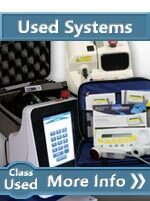 The manufacturers of these systems also recommend higher dosages than any other systems. It seems like these system are diverging from the core photobiomodulation group but the results speak for themselves. We still only recommend wavelengths over 910nm as a secondary wavelength. The higher dosages and higher wavelengths seem to be good for pain control and increasing circulation but they might not be as good for repair. The use of different wavelength emitters allows more flexibility in a treatment. Each wavelength can excite cells in a slightly different way giving a practitioner, not one, but several different mechanisms to treat the same problem. Infrared emitters in the 800 nm range are best for deep tissue work because they are not quickly absorbed by hemoglobin or water. 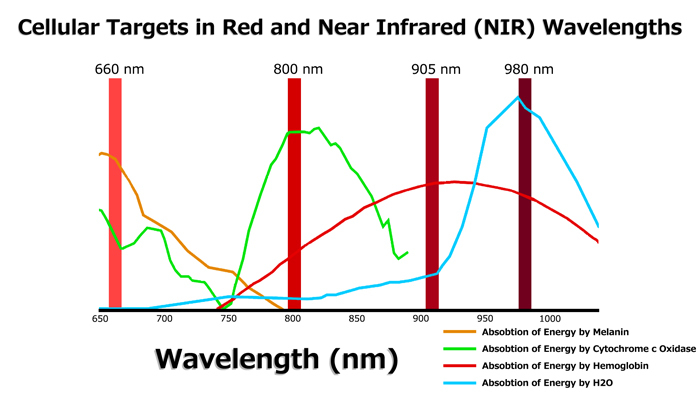 Many of the higher-end and most expensive products offer wavelengths in the 900nm range. These wavelengths have proven results over many year of successful application. Emitters in the 600 nm to 660 nm range are recommended for treating root nerve, acupuncture and trigger points. Red light is also useful as a guiding light when used in combination with infrared lasers. There is no agreement in the cold laser industry on an exact wavelength that is best for healing. In addition to wavelength, other factors that can be equally important to the effectiveness of cold lasers are power level, total dosage, quality of the treatment protocols, and the size of the treatment area. Other factors to consider before purchasing a cold laser are the warranty period, build quality, device interface and of course, the overall safety of the product. 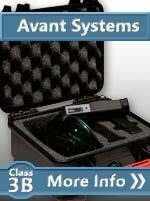 In reality, it seems like all the cold lasers on the market have a unique value proposition (cost versus benefit) and they are all good at helping people that don't respond to traditional medicines.